The plucky Greek goddesses fight for the right to compete in the Ancient Olympics. Go, girls! There’s just one thing wrong with the Ancient Greek Olympics. Girls are banned. Not very cool, is it? 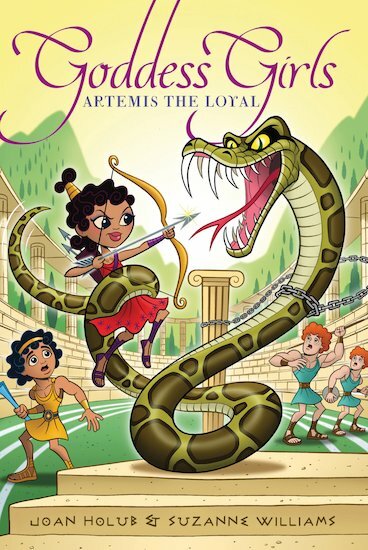 Now the annual Games are coming up again, and the four Goddess Girls are not happy – especially Artemis. Even though she’s better at sports than most of the boys, she still can’t compete. Not fair! So she decides to lead a crusade to open up the games. Will the girls succeed, or be sidelined yet again? We think these young goddesses deserve a gold medal just for trying.